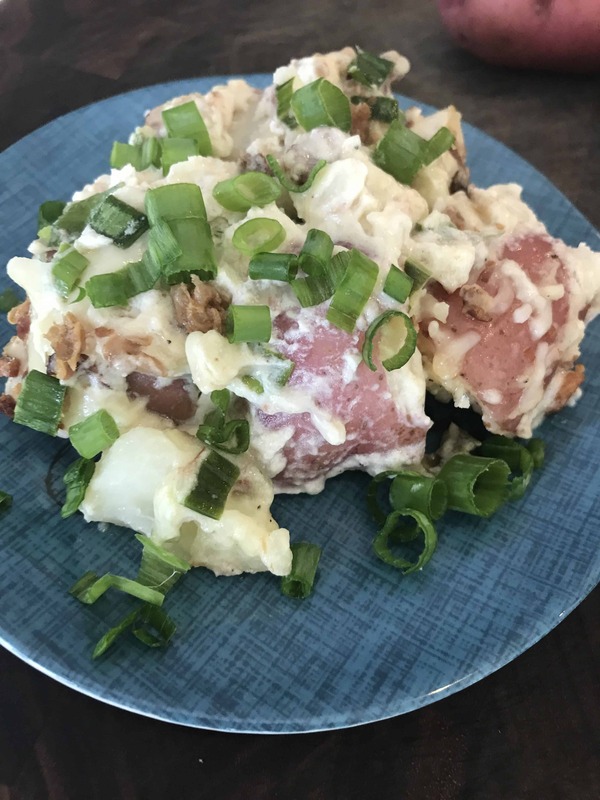 Who doesn’t love a loaded baked potato? When I was pregnant, I devoured potatoes. Sometimes skin-and-all. No shame in my potato gam. 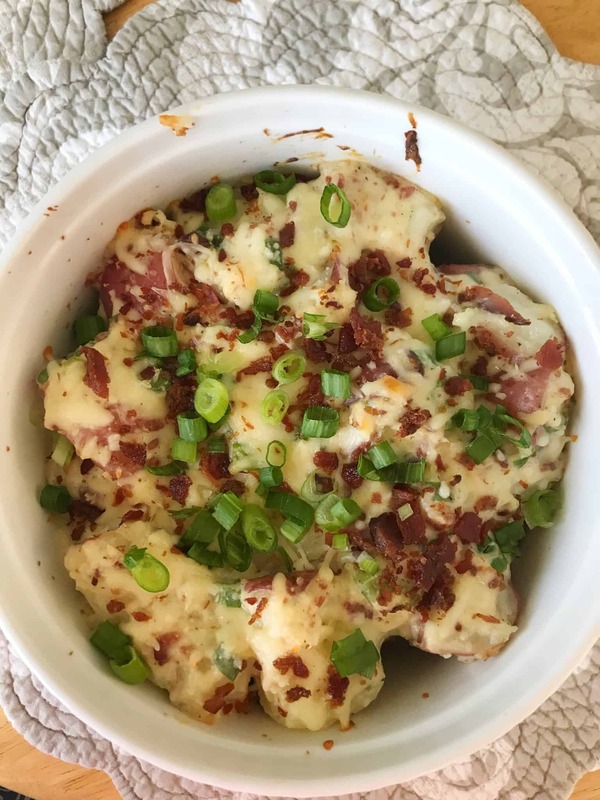 This casserole embodies all the goodness of a loaded baked potato into one amazing side dish. One of the BEST things I love about recipes like this one is when you can make it AHEAD OF TIME. 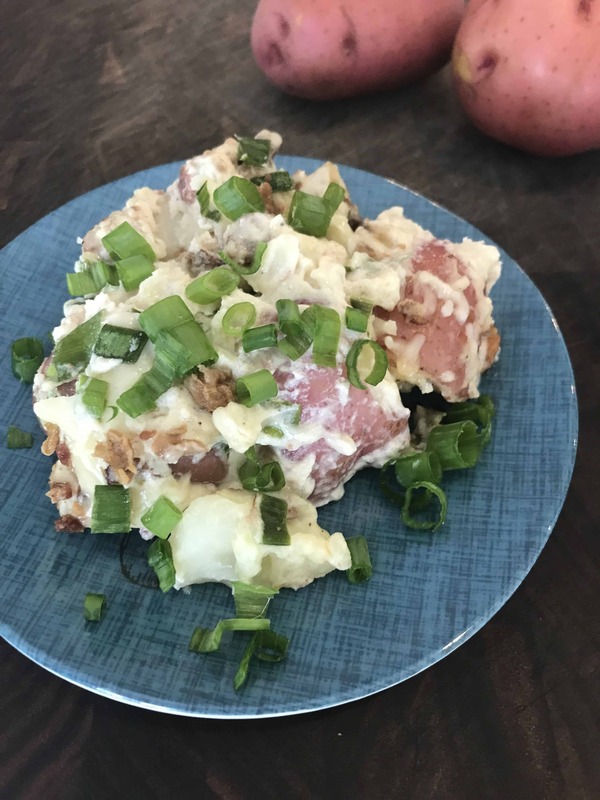 You do the dirty work, throw it in the fridge [even do the dishes so it looks like you’ve got your act together], and then when it’s time to eat – POP THAT *ISH IN THE OVEN. Bam. Crowd pleaser + make ahead = winning. I leave the skins on [because I’m lazy], and I cut them into chunks like these. 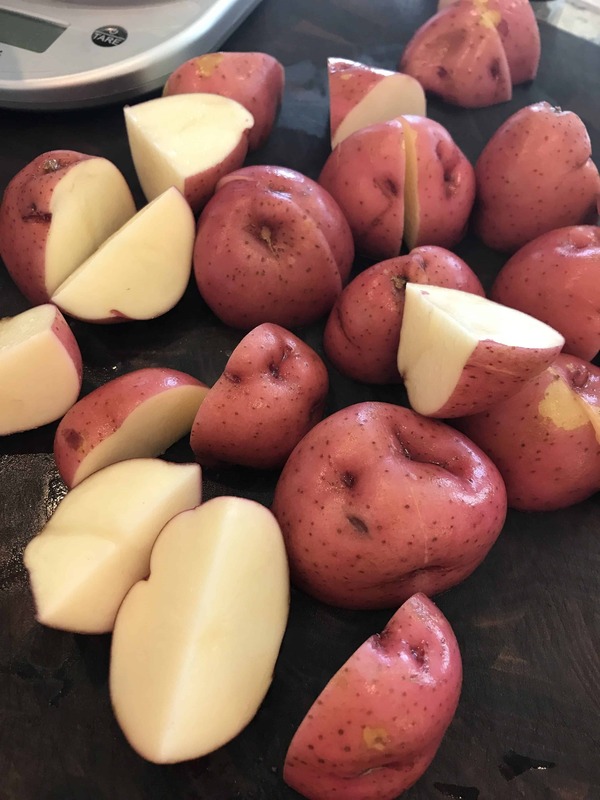 It’s just 2 cuts per potato to make them into quarters, but feel free to cut them as you see fit. I kind of like the non-mushy texture they have when they cook in the casserole. This little ditty may seem like the WORST thing you could eat during swimsuit season, but you’re gonna be okay. If you make this recipe into 6 servings, each serving is only about 350 calories (18g fat; 13g protein). It’s not exactly a kale salad, but I’m willing to trade every now and then. Place the potatoes in cold, heavily salted water. Bring to a boil. Cook until fork tender (about 20 minutes. 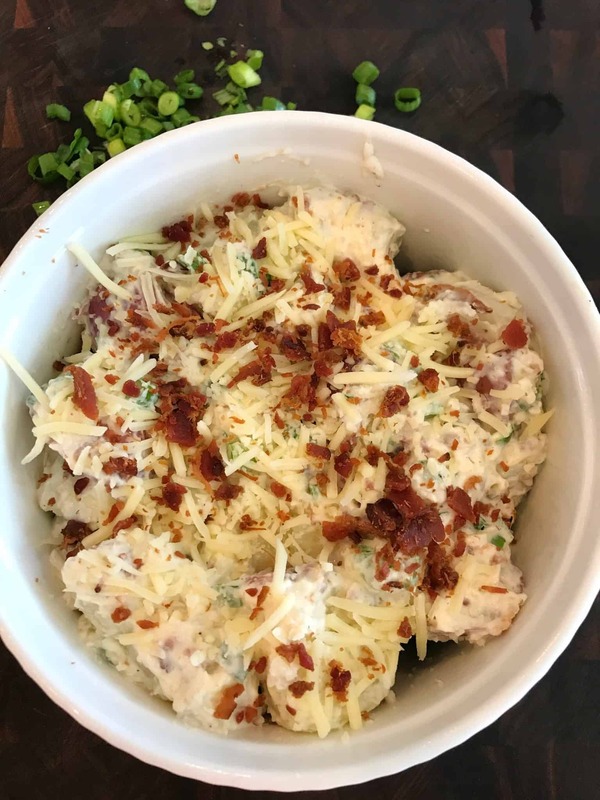 Meanwhile in a large bowl, combine the bacon bits, green onions, cheddar cheese, sour cream, mayo, a pinch of Kosher salt, and 1/4 tsp. freshly ground black pepper. Drain potatoes and add to mayo mixture while still warm (but not hot). Stir to combine. Spray an oven-proof dish with cooking spray. Pour mixture into prepared dish, garnish with bacon bits and cheddar cheese. Cover with plastic wrap and refrigerate 1 hour. Preheat oven to 350. Remove dish + plastic wrap while oven preheats. Bake for 15-20 minutes (until cheese melts). Garnish with more green onions.